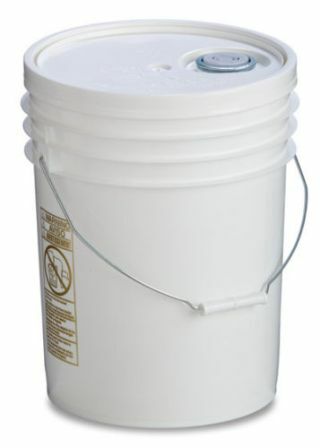 5 Gallon Food Grade Plastic buckets with lid. EZ Covers, made with High Density Polyethylene (HDPE), are extremely easy to open and reseal. They provide stacking safety, shipping integrity, and tamper evidence to protect your product. An added benefit of EZ Covers is the ability to easily reseal your pail and retain product freshness. EZ Covers come in a variety of colors, white, red, yellow, green, blue and black. White and black can match your pail or other colors can be used for a color coding system. Many of our covers come with a pull-up Rieke Spout. This makes it convenient for you to pour liquids out of your pail without having to unseal the container. Contact us for Bulk Purchases today! These buckets are Brand New. Note: Additional shipping may apply on large bulk purchases.